Having seen images of this film in horror books and magazines like Famous Monsters years ago while growing up I’m kind of surprised it’s taken me this long to finally catch up with it. The fact that it never turned up on DVD or even VHS as far as I’m aware of is surely the key factor in it’s rarity. Now that it’s finally been rescued by Scream Factory and put out on blu ray has allowed me to rectify this omission in my werewolf movie collection. Every now and then I’ll attempt to poke fun at a movie as opposed to being overtly critical and this Nathan Juran directed feature is just what the doctor ordered. The reason why? It’s the makeup job offered for the star of our show, the former Sinbad, Mr. Kerwin Mathews. This film is a reunion of sorts as it’s Juran who also directed the Mathews/Harryhausen classic, The 7th Voyage of Sinbad. Thankfully we’ll remember Juran for that fantasy classic as opposed to this, his final film. About that make up job, it’s a cross between The Shaggy Dog transformation on Dean Jones and maybe an old boyfriend of Zira’s before she settled on marrying that ape with a shovel, Cornelius, on The Planet of the Apes. 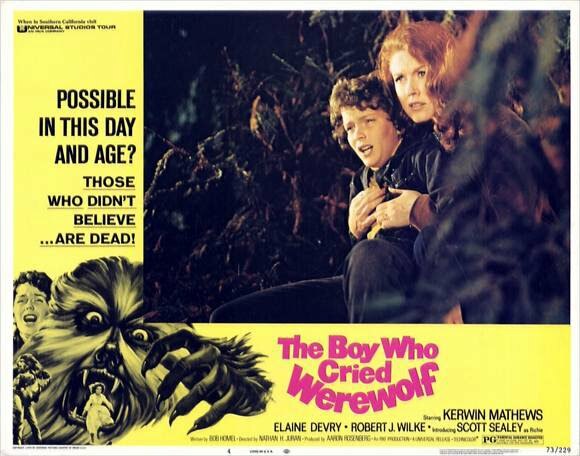 The title tells all when young Richie (Scott Sealey in the role made for Corey Haim if only the producers had waited) and his Dad, Mathews, are attacked by a werewolf just as the movie gets started. It’s apparent from the opening that subtlety isn’t this film’s strong point as the furry beast makes his appearance right from the get go foregoing any form of keeping the monster hidden for scarier effects when the time and mood are right. Mathews fends off the beast sending it over a cliff where it is to be impaled on a fence post. Turns out it was a man after all yet Mathews was bitten and Richie is quick to tell Sheriff Robert J. Wilke it was a werewolf that attacked them. Mathews and the boy continue on up to the family cottage where Mathews is going to undergo the Shaggy Dog transformation and take off after his son sending the boy screaming into the night. The result of Mathews rather amusing body language meant to scare the hell out of people sends a couple cars of the road leaving him a victim to munch on. The boy spends the night with a young couple in a camper till Dad comes by in the morning looking for him. He’ll be back later that night to snack on the campers. 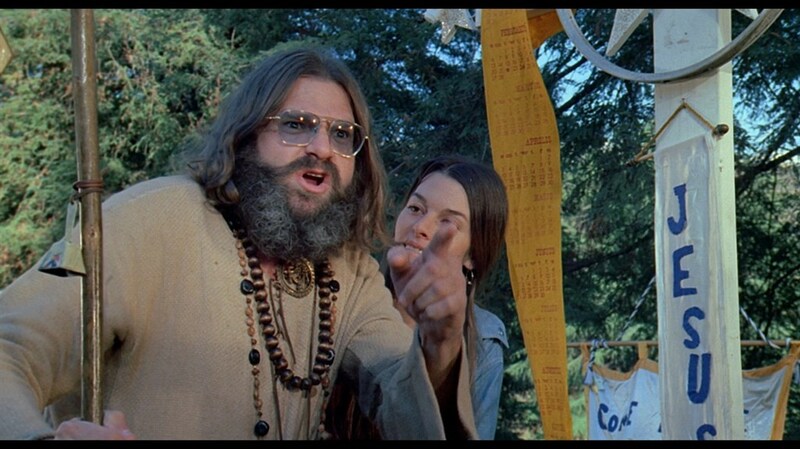 Dating the film is a hippie commune led by a Dennis Hopper wannabe who all believe in spreading the word of the Lord. The best scene in the film is probably when werewolf Mathews charges out of the forest at their campsite prompting the cult leader to holler the Lord’s name in vain, “Jesus Christ!” as he and his disciples head for the nearest car or VW minivan. When Mathews estranged wife, Elaine Devry, joins the family at the cottage the boy is trying to convince his mother that Dad has gone bad in a very hairy way. When she finally sees a threatening paw smash thru a garage door, the producers should have put the song, I’m a Believer, blaring on the soundtrack. You’ll get no more out of me on the shenanigans still to come. HOLD IT! SPOILER ALERT! Can’t help myself. I just loved the final bit where the entire county open fire like it’s the end of Bonnie and Clyde right in front of the boy who knows it’s his Dad under the puppy dog make up. The film itself plays pretty much like an NBC Sunday night movie of the week and I’m kind of surprised Bradford Dillman and David Janssen didn’t turn up from one county over where they we’re filming Moon of the Wolf. Janssen and Wilke could have teamed up to take out two unlikely werewolves as opposed to just one. The reality here is that I never saw this film as a kid. If I had it would probably have been a nostalgic trip back to a film that gave me some goose bumps at the time. Something akin to my love of all things Carl Kolchak and The Night Stalker. I never get enough of McGavin’s two films and the short lived series. Still I’m glad I finally caught up with this one and who knows, maybe a second or third viewing might turn my opinion around on it. Someday if I ever have some grandkids, I’ll be sure to let them have a look at it for a tame, parental guided scare. That way they’ll have the nostalgic look back at it in the year 2073 upon it’s 100th anniversary. Oh, good gravy on a stick. I saw this as a kid and memory wiped it afterwards, lol. It got a disc release, so I’m now curled up in a fetal position because of that makeup. Not scary, but too silly to be so. Well, it could be worse. Hey, did Brando bark at the screen at some point? I love that expression! ‘Good gravy on a stick.” Sorry I put you in the fetal position….lol. Brando was smart enough to sleep through the whole thing. Even the howling didn’t convince him to bother looking up. I saw that Akins flick years ago but recall little about it other than I think the Shatner Kingdom of the Spiders was a better flick if memory serves. Yes, I’ve seen Kingdom of the Spiders and it is a better film. The Akins flick is set in CA and the solution is so dumb, and done so slowly that someone on the Svengoolie fb site said that Midwesterners would’ve dealt with those spiders a lot quicker than those Californians! Haha looks like one of my counterpart has gone way overboard with the Timotei shampoo! Looks a lot of fun but I think this one will keep on the back burner for sometime in the future. I still have around 400 thousand other films to see first, even if it does have a wolf in it 🙂 . Very entertaining read dude. PS I second Kolchak. I was wondering if you’d seen this one. It’s just not a great make up job if the purpose is to scare and Mathews just stands around clawing at the air to very little effect. Still I was way overdue in seeing it so glad I’ve caught up to it. Hehe yeah it doesn’t half look cheesy but I bet it was good fun. Good to hear you got to tick it off your list. 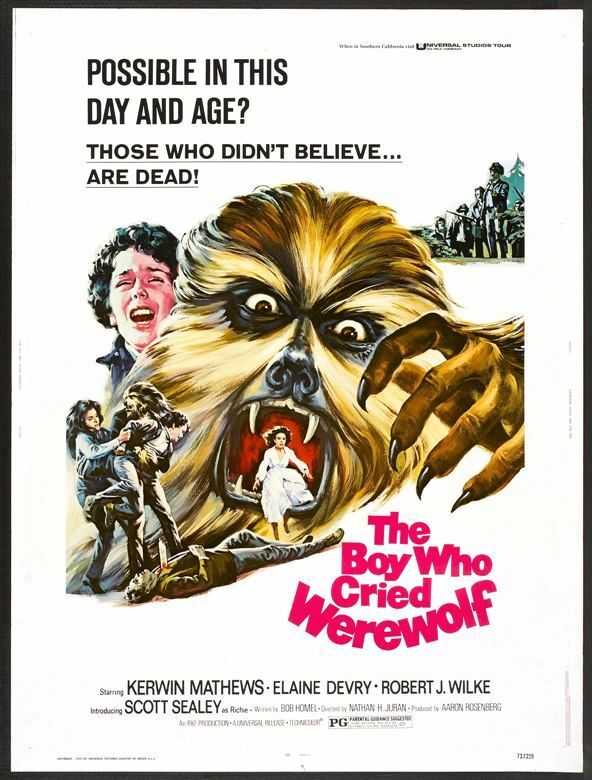 The cult werewolf classic! Glad you were finally able to watch this, and see for yourself what I was talking about! 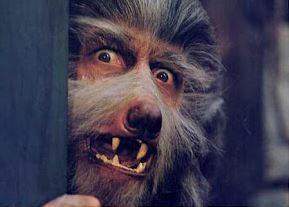 Some classically cheesy moments, and I love how the werewolf still wears human clothes after he transforms, I’m guessing to save on makeup and fur costs. So did you buy the Shout Blu-ray? If so, were there any bonus features included? Now all you have to do is watch ‘Sssssss’ and you can say you watched the double feature, like I did back in the 1970s. I have SSSS as well and did see that one as a kid on the late show. Even then I knew who Strother Martin was. Only bonus on the blu is a trailer for the double bill with most of it dedicated to SSSS. 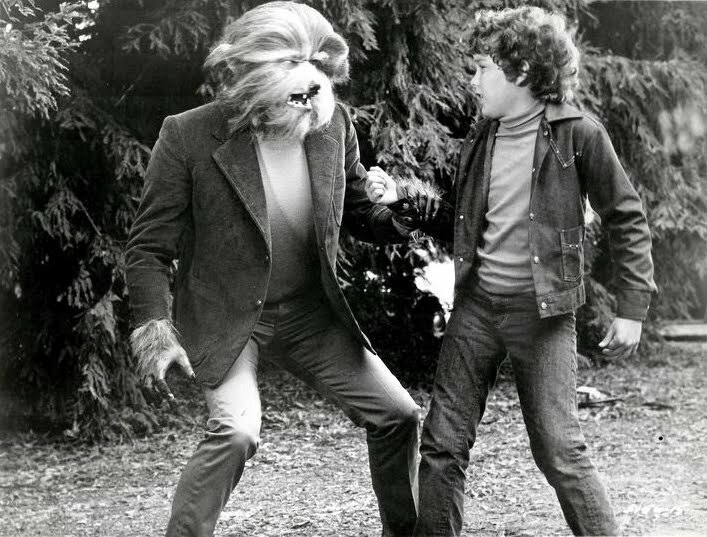 I liked in the opening scenes when the first werewolf attacks, they hadn’t bothered doing up his hands so they glare out at you while he’s running in the woods.